Gate Fuel Service is a diversified petroleum distributor based in Jacksonville, Florida. We offer commercial, retail, wholesale, marine, industrial and even residential fuel to customers throughout the Southeast. 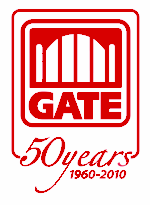 Originally formed in the early 1960's to resell fuel to a few residential accounts, Gate Fuel Service has evolved into a multi-branded multi-line petroleum distributor with sales exceeding 100 million gallons annually. To complement fuel sales, Gate Fuel Service entered the lubricants business, selling motor oil, hydraulic fluids and greases. In the past year, we added Diesel Exhaust Fluid to our line of products. Our transportation team operates a fleet of tankers and provides petroleum distribution and transportation for all of Gate Petroleum's retail stores, as well as commercial accounts throughout the Southeast. The growth and success of Gate Fuel Service can be directly attributed to our dedicated staff of employees and their commitment to complete customer satisfaction. Call (904) 636-9700 now so we may serve your needs immediately.